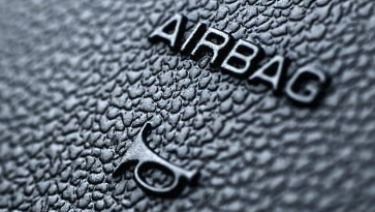 An air bag can save your life. However, air bags and young children are a dangerous combination. All infants and toddlers should ride in a rear-facing car seat as long as possible or until they reach the highest weight or height allowed by their car safety seat’s manufacturer. All children who have outgrown the rear-facing weight or height limit for their car safety seat, should use a forward-facing car safety seat with a harness for as long as possible, up to the highest weight or height allowed by their car safety seat’s manufacturer. All children whose weight or height is above the forward-facing limit for their car safety seat should use a belt-positioning booster seat until the vehicle seat belt fits properly, typically when they have reached 4 feet 9 inches in height and are between 8 and 12 years of age. New “advanced” air bags make travel safer for adults, but it is not yet known how they will affect the safety of children. Even though these new air bags may be safer, the back seat is still the safest place for children younger than 13 years to ride.